Che Dean's Phoblog: Google or Flickr? If you haven't heard the big news of the last week and you're a photographer, then you have really missed out. Yahoo announced a complete Flickr revamp not just including a new look and redesign, which to be honest was really needed, but also that from now on Flickr will be offering 1 TB of storage free, yep, 1 TB and not just that, you can now also upload full size images. This is huge, with our image sizes getting larger all the time having access to 1 TB of storage space is incredibly handy. The new design is also fantastic, very modern and really helps to show off your images, whether they are on a desktop, laptop, tablet or phone. 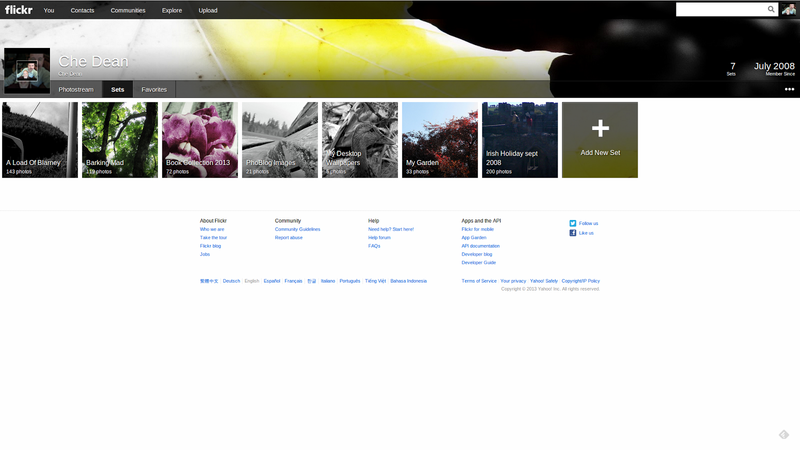 Flickr is now a great example of how a unified experience across multiple device types can work really well. But getting back to the question I asked in the title, Google or Flickr? Well, with Google announcing at their I/0 all the new and mostly great features for Google Plus I was stuck because even though I really like the idea of Auto-awesome and Auto-enhance, I really don't want Google messing with images I have already edited myself. But I really would not mind leaving those features on for my everyday images. And that is where I get my answer to the question of Google or Flickr, why not use both? Google for your light everyday snaps and Flickr for your better, more professional images and collections? At least that is what I've decided to do given that I like the idea of auto enhancing normal snaps and really don't want to turn off that feature. 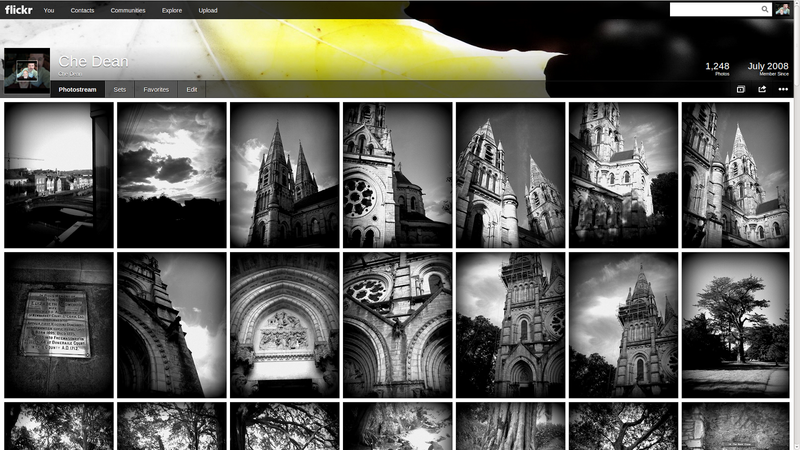 I've spent today updating my Flickr account and moving images over from Google. And just as a slight trip down conspiracy lane where the Popes and Pirates remain, here's a thought. Given that Marissa Mayer is a former Googler who has been given the unforgiving task of rescuing Yahoo from the jaws of corporate take over or worse and Google are constantly having to battle investigation for antitrust behavior because, well, for better or worse, they have their fingers in everyone's apple pie, could it be that a small deal was struck behind closed doors, that Google would become the photo backup and auto-enhancer for normal everyday pictures and Yahoo through Flickr would reclaim their place as the go to sweet spot for photographers? Just a wild thought that obviously could never happen in real life. Either way though, we the public are benefiting from Yahoo's fight for survival and they have won me back for one, at least where pictures are concerned. It would be nice if the big tech giants could cooperate on a small level for the public's benefit and to help push technology forward, making life better for all instead of constant patent disputes which just lead to delaying our technological advance. Anyway, for now I'm enjoying both Google Plus for my pictures and also really enjoying being back on Flickr since the announcement.